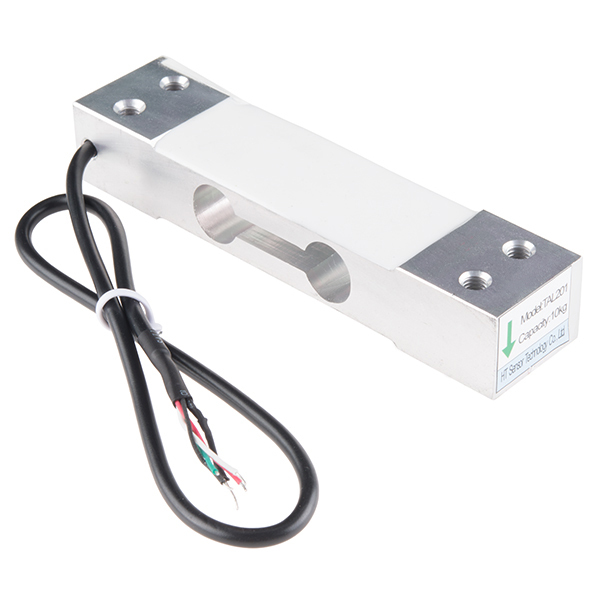 This wide bar load cell (sometimes called a strain gauge) can translate up to 10kg of pressure (force) into an electrical signal. Each load cell is able to measure the electrical resistance that changes in response to, and proportional of, the strain (e.g. pressure or force) applied to the bar. 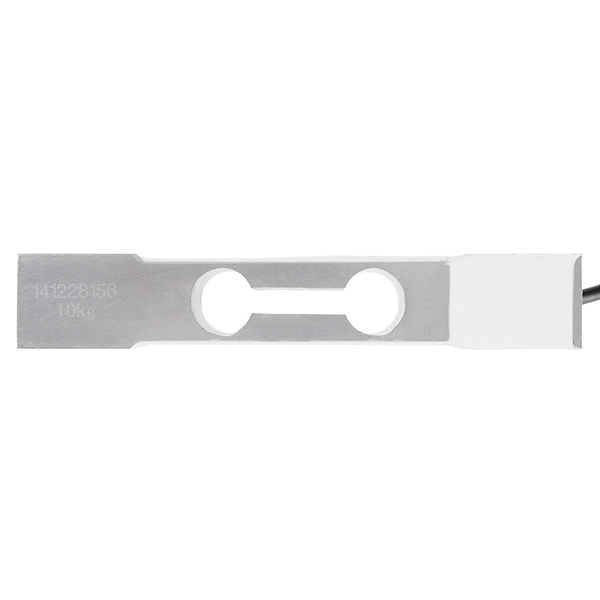 With this gauge you will be able to tell just how heavy an object is, if an object's weight changes over time, or if you simply need to sense the presence of an object by measuring strain or load applied to a surface. 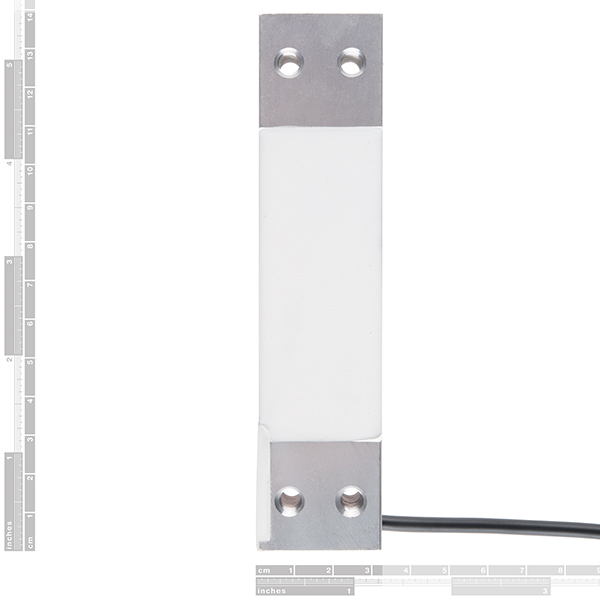 Each wide bar load cell is made from an aluminum-alloy and is capable of reading a capacity of 10kg. These load cells have four strain gauges that are hooked up in a wheatstone bridge formation. The color code on the wiring is as follows: red = E+, green = O+, black = E-, and white = O-. 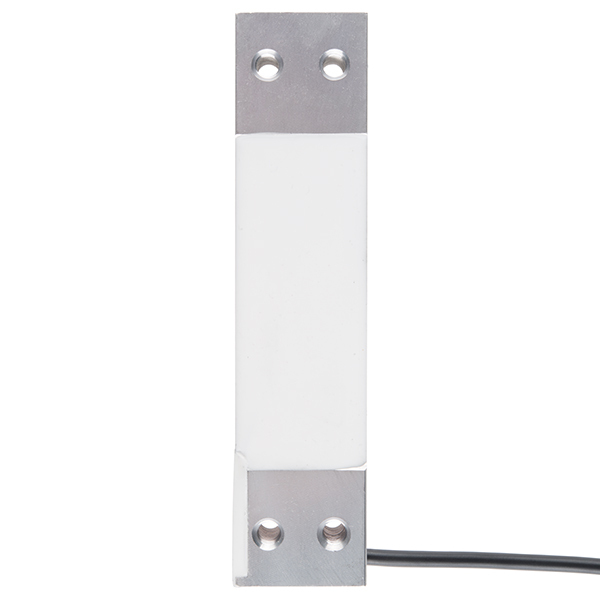 Additionally, these load cells offer an IP65 protection rating and feature four M6 sized through-holes for mounting purposes. I just received mine. I need one gram resolution, so this will not work for me, but I am also metrically challenged and didn't realize the dimensions. :/ This thing is MASSIVE! It's 5 1/8" long x 1 1/4" wide x 7/8" tall! Of course I could have looked at the picture with the handy rulers, but that's crazy talk! That's like reading a manual. No one does that! It's great that you've added these - no more raiding bathroom scales. I assume that 10Kg/1024 bits A/D yields a theoretical resolution of about 10 gm. 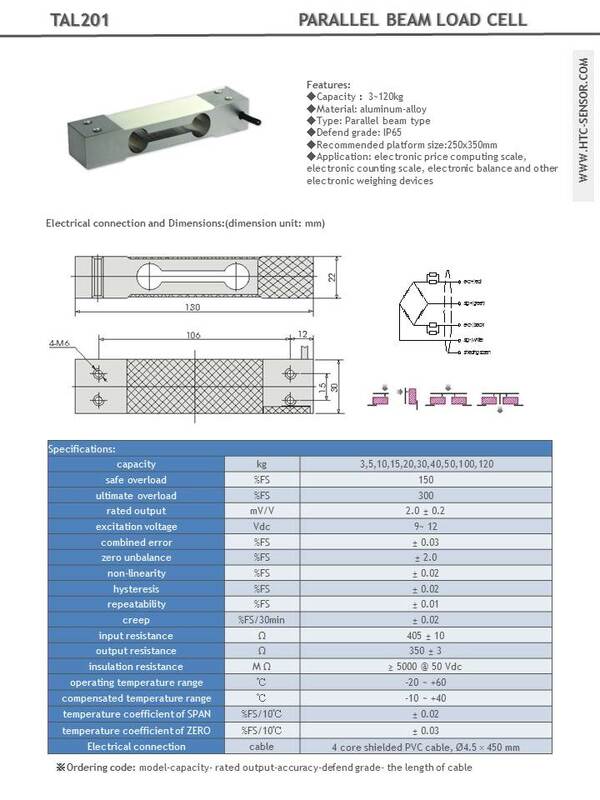 Have you measured a minimum weight and accuracy for this load cell? How much noise is present? Thanks.